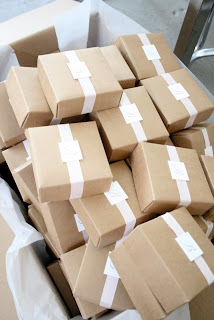 This was a special project for Sideshow Press. 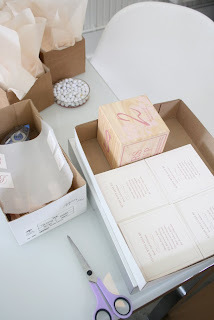 We had the pleasure of working on Sarah's wedding invitation several years ago and were so pleased when she re-connected with us to work on her upcoming baby shower invitation. 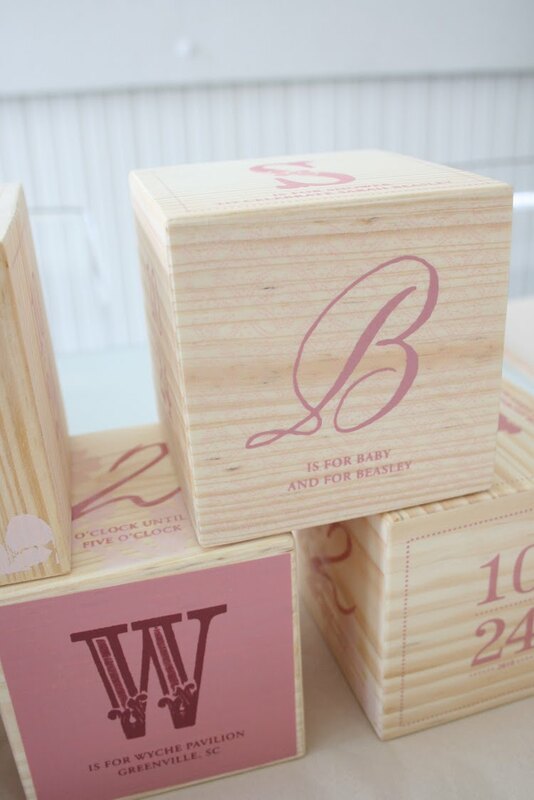 The invites were silkscreened on wooden blocks and styled to follow the format of a baby block. We used a mixture of type and beautiful calligraphy by Elizabeth Jones. 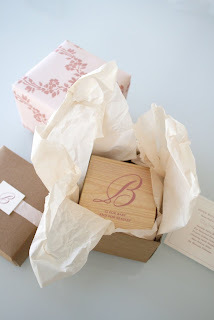 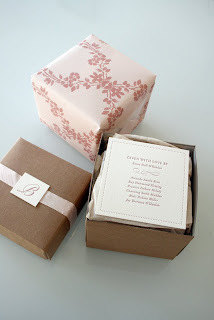 The blocks were packaged in kraft boxes with a letterpress hostess card, silk ribbon and finished with custom printed wrapping paper. It was so fun to work on yet another special event in Sarah's life. We can't wait to meet Baby Beasley! 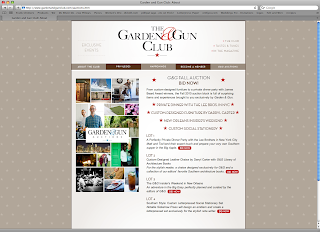 From custom-designed furniture to a private dinner party with James Beard Award winners, the Fall 2010 auction block for Garden and Gun Magazine is full of surprising items and experiences. Go to online to Garden & Gun to bid on a Private Dinner with The Lee Bros. in NYC, Custom-designed Furniture by Darryl Carter, New Orleans Insider's Weekend and Custom Social Stationery by Sideshow Press. 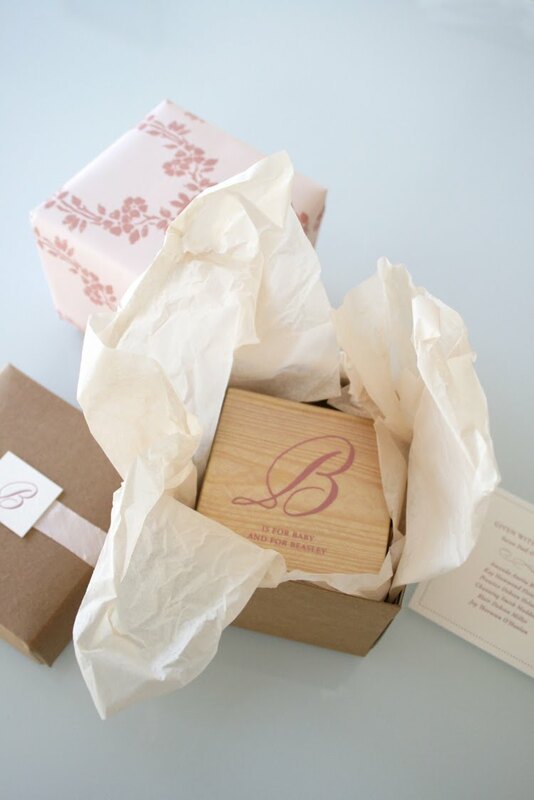 We're flattered to be among such amazing company.